Enjoy your retirement by traveling to paradise. If spectacular landscapes with year-round warm weather and cultural cities are your thing, then you should retire in Los Cabos. Escape the usual retirement plan and enjoy your life. Retiring in Los Cabos is a dream come true. You’ve worked hard your whole life; which is why it’s time to live your life to the fullest — and relax too — in paradise. 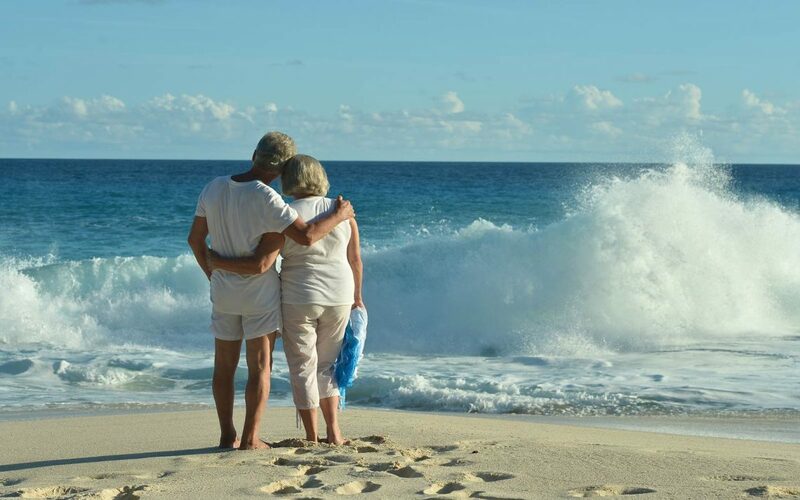 Discover how Los Cabos could be the best place for your retirement location. It’s always exciting to plan a vacation, but what if you want to turn that vacation into a home? Living on a vacation is just one of the perks of Los Cabos. If you choose to retire in luxurious Los Cabos, you will experience an expat community of like-minded Americans and Canadians living abroad. Conveniently, you will only be a flight away — there are many direct flights from Mexico to the United States and Canada. And you won’t be too far from loved ones, since the peninsula is an extension of the California coast! If you want to retire somewhere beautiful, look no further than to retire in Los Cabos. Los Cabos is located on the tip of Mexico’s Baja California Peninsula. You will feel like you are in paradise from the breathtaking views of the Baja desert paired with the turquoise-colored ocean. Los Cabos encompasses two charming towns; San Jose del Cabo, which is known for its beauty, and Cabo San Lucas with its lively atmosphere. Between the two cities lies sunny, warm beaches where you can relax. When you retire in Los Cabos, your family will want to visit you. Picture this: your family will enjoy activities like snorkeling, horseback riding, paddle boarding, hiking, swimming with dolphins, basking in the sun and fishing. Not to mention, the calm, clear waters of Santa Maria Bay and Las Viudas Beach, which are known for world-class snorkeling. They can even cut a shot at a world-class signature golf course. In fact, there are 15 courses to choose from that were designed by golf’s living legends and many of these courses are consistently rated among the Top 100 courses in the world. No matter what you and your family choose, each day in Los Cabos will have an endless adventure. The culture and local charm will enchant you. Everyone in Los Cabos is friendly and will welcome you with a smile. You’ll experience the flavors of Mexico with the fantastic authentic restaurants in Los Cabos. With all of the properties, it can be tricky to find the luxury home of your dreams. If you are contemplating the idea retiring in Los Cabos, you will need the help of an experienced guide to make informed decisions. Los Cabos is one of my favorite places to live in Mexico. If you want to retire in Los Cabos, give me a call. I would be happy to help you discover the home of your dreams.